We all hate spending time in post production. After all, we are photographers first and foremost. Editing no longer has to be laborious. 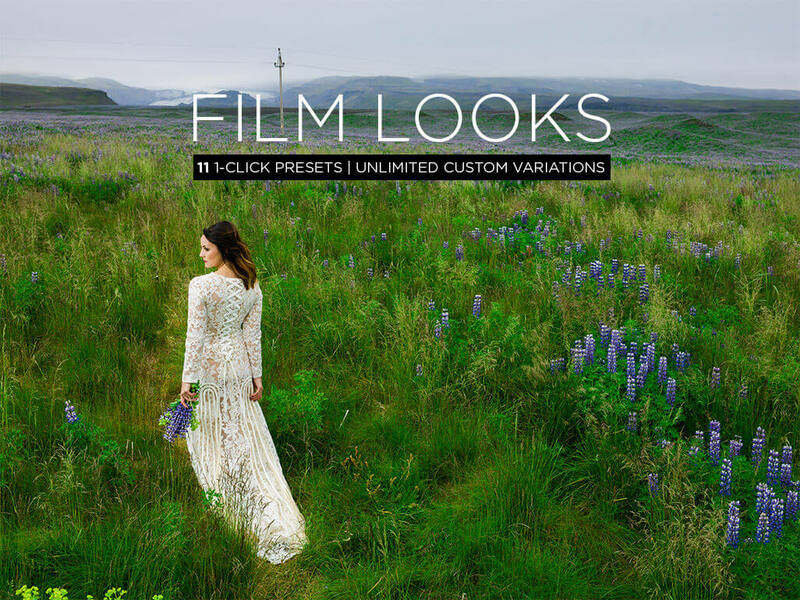 With our new 2016 Lightroom Presets, you can be efficient and create thousands of unique looks without ever leaving Lightroom. Our Lightroom 2016 Presets are a result of 4 years of real production work and a never ending quest for a faster and more efficient workflow. Where other presets fail, our presets take new life. 1-Click presets, while convenient, rarely work on any image other than the one the preset company tested it on. 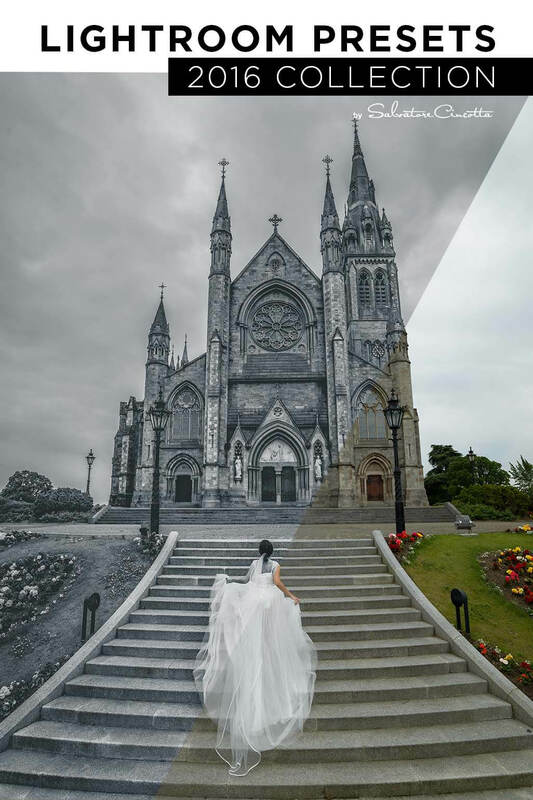 With our Lightroom Presets, we built them from the ground up to be easily customizable and edit in a way that is cumulative, meaning, there is no one-size fits all recipe. We start at a baseline edit for Black and White or Film Looks, and you build the rest – quickly and easily. Check out some of our before and afters below and watch the video to get a high level sense of how the tool works and can breathe new life into your editing workflow. You will once again, love editing and be amazed at how quickly and easily you can edit your images. Get them online for Social Media for your clients to enjoy, or just wrap up your job to enjoy more personal time. These are without a doubt, some of the most unique presets on the market today. You will become addicted. Don’t say we didn’t warn you. Works with Lightroom 5 and above. See the tool in action – High-level overview. 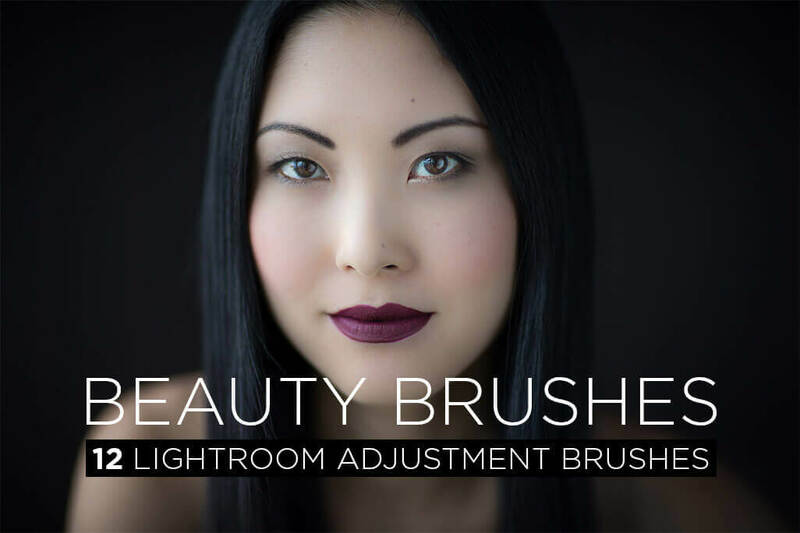 Our beauty brushes make your editing workflow a breeze. The images you see here were edited 100% in Lightroom. That’s right. No photoshop. Does that mean you will never need Photoshop for your editing workflow? Of course not, but we all know the value of staying one program to do a majority of our work. This saves time and money. 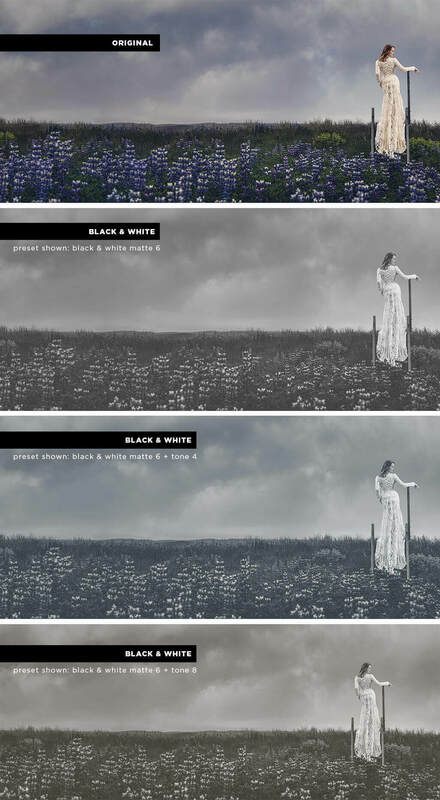 We all love Black and White, but not all black and white Presets are created equally. 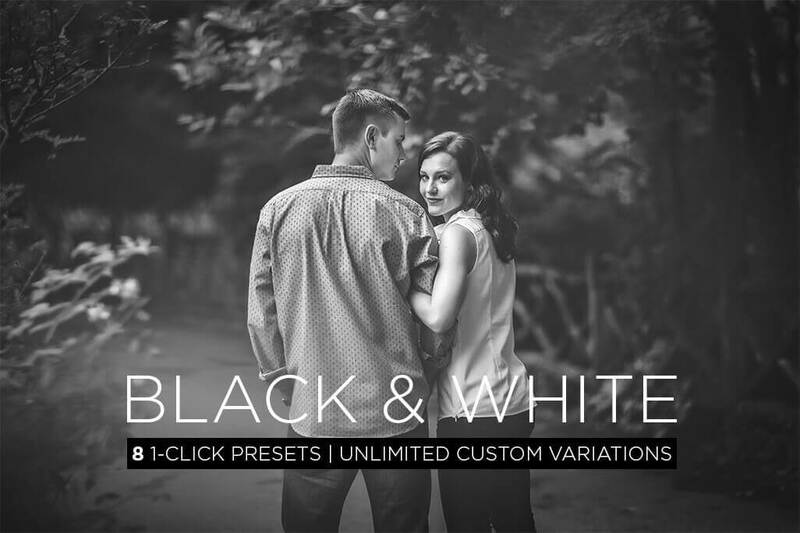 Our black and white presets start with the creative zone and include everything from standard black and white to infrared to the very popular matte look. Best of all, you have complete control over the look and feel of your black and white with our easy to use interface allowing you to build your look one creative click at a time. Film looks are EXTREMELY popular right now, but what most are lacking is that level of granular control. This is where our presets excel. Split-Tone images are both fun and unique. Not every image is meant to be split-toned, but it can add that something extra to your images when you are looking to create that wow effect. The Wash Out was made very popular by Instagram and clients are sure to love this look and feel for their images. One the more powerful features of Lightroom is the ability to create 1-Click Edits. We work in this tool every day, so Sal created and included some of his favorite recipes as 1-Click edits for you to use and enjoy. Included in the BONUS 1-Click Edits. ++ 25 1-Click Edits created and used by Sal in his day to day workflow. Experiment and create your own recipes and enjoy the powerful new preset engine we have created for you.